For a full monthly digest of all the news from Alport, Middleton and Youlgrave see The Bugle, available in village shops and pubs and delivered to every local household. To read the latest issue click on the link below. For more back issues and special editions go to www.thebugle.org.uk. What have the tourists ever done for us? Ian Thurman on the spending value and potential of Youlgrave’s visitors. They park in daft places, drive too fast through the village and never spend any money… they put their boots on and then clear off for the day. Ever found yourself muttering about our tourist visitors? Somewhat like the ‘What have the Romans ever done for us?’ sketch in Monty Python’s The Life of Brian, it’s easy to think ill of outsiders. But is the reality somewhat different? How do the residents of Youlgrave, by their sole efforts, create this miracle of three shops, three pubs, a garage and a social club in a village of just over 1,000 people? Is there a possibility that tourists might have a bearing on our wealth of facilities when elsewhere shops and pubs are on a seemingly never ending spiral of closures? And could we actually get more money from these tourists? In Youlgrave, Alport, Middleton and Gratton there are over 450 overnight visitor bedspaces*. It’s reasonable to assume that the overnight population grows by around a third in peak holiday times. Whilst some of these people will inevitably bring their own food and drink, there’s clearly an opportunity for significant spending in the pubs, shops and cafes from these overnighters. Then add in the day visits, wedding venues, visiting friends and family, and spending potential increases again. 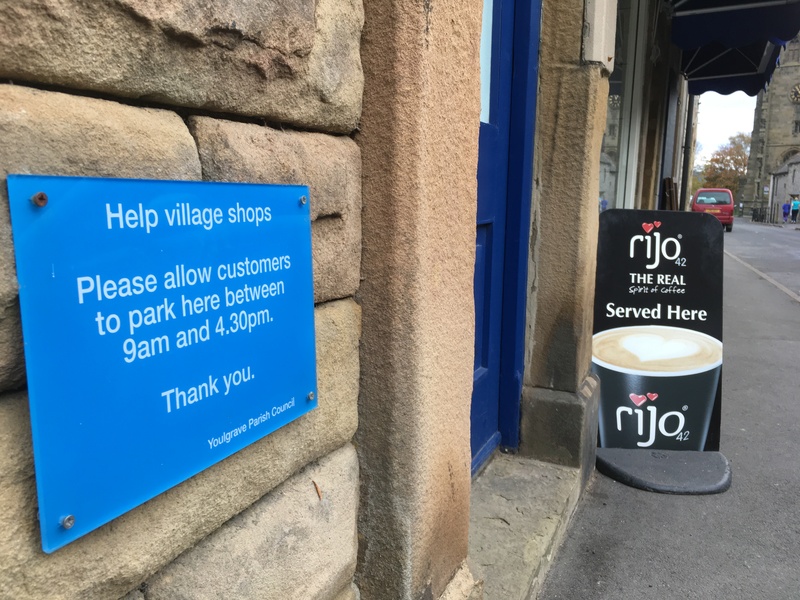 We all know from walking through the village and driving past the car parks at the weekend that the paths from the village attract substantial numbers of day-visitor walkers. And anyone who’s moved here knows how popular you become with friends! 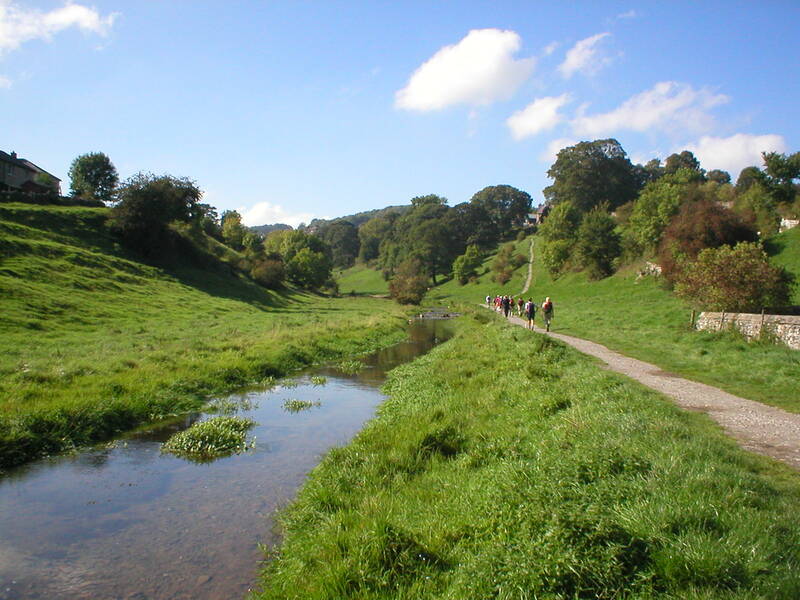 The Peak District National Park Authority (PDNPA) commissions reports from a regular study (the STEAM report) on tourist spending. The latest estimates show some 13 million visitor days per annum** (2017) across the Peak District and an economic impact of £577m (2015). There are clearly substantial benefits from tourism; but what’s in it for Youlgrave, we might ask? Comparing my estimate of the total bedspaces for Youlgrave and the local area to the total bedspaces in the Peak District*** used by the STEAM report, the visitors to the village and its environs are responsible for between 1% and 2% of the total economic impact of the Peak District’s visitors, ie between £5.77m and £11.5m per annum. As our village streets aren’t paved with gold and Chatsworth is round the corner, our visitors are likely to be having an impact both in Youlgrave and the rest of the Peak District. Nevertheless these are substantial amounts of money for the village to reach out for. Tourist activity is not without its downsides. Beyond the irritation of the parking congestion at busy times, there is the bigger issue of affordable housing. As one of the most attractive parts of England there’s a demand for second homes and holiday rental accommodation. The same story is repeated across all of Britain’s national parks. Such demands inevitably push up local house prices. At its most extreme this can result in the exclusion of young locals from the housing market and a decline in school numbers. With the development of Hannah Bowman Way, some remaining social rental housing and a thriving primary school with 80 children, we are in a much better position than ‘honeypot’ villages such as Castleton and Hartington. (Castleton Primary School has just 5 pupils left and Hartington 18, in part because of the absence of young permanent residents.) Of course that’s not to say we should be complacent. Whilst we may feel that Youlgrave suffers from some of these problems, it’s by no means as bad as elsewhere in the Peak District. Long may it remain so. Come on, you can afford more than that! In the spirit of localism, perhaps it’s time for the local authorities to give everyone a better understanding of the benefits of tourist spending and help villages like ours to develop a toolkit to extract more money from our visitors? In the mean time, what can we do as a village? ‘Buy Youlgrave’ has to be the message we get out to future visitors. Rather than letting overnight visitors organise their supermarket deliveries, or bring shopping with them, can we get the message out that our shops provide everything for their stay? We need to encourage all the accommodation providers to let their guests know, in advance, about our shops and pubs. And for the day visitors, many a small French village doesn’t hold back from having a notice in the car park about what the shops sell, where they are and when they open. Should something similar be in our car parks? In a welcome first move, the Parish Council and Community Land Trust are to fund new finger post signs in Bradford Dale directing passing walkers to our shops, pubs and other services. There’s money walking in these hills, let’s make sure we get our share. *Bedspaces estimated from individual, agency and corporate accommodation websites including Airbnb and caravan sites. I suspect my data on bedspaces for our local area is more comprehensive than the STEAM bedspace data (monthly average of 25,000 bedspaces across the Peak District). **Excluding visits of less than 3 hours. ***The geographical area used in the STEAM report is defined as the Peak District and Influence Area. Many thanks to David Alexander from the PDNPA for the supply of the headline STEAM statistics used above.